The sun is shining, the weather is sweet, and all you want to do is feast alfresco. You’ll be happy to hear that plenty of Auckland’s best restaurants and cafes are made for exactly that. 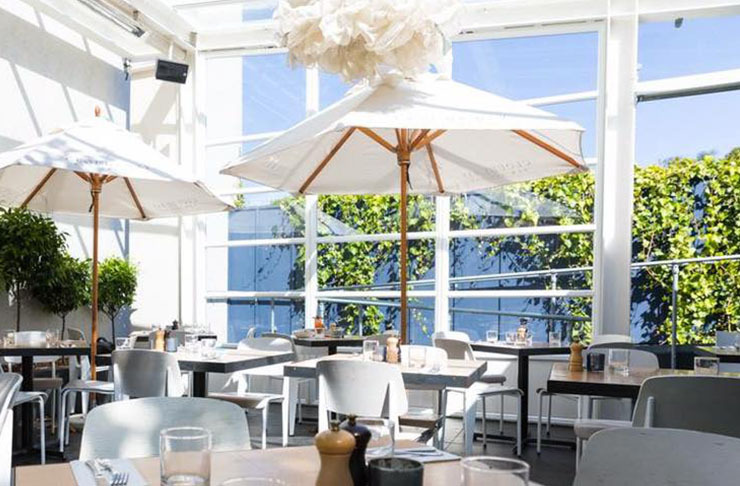 From lovely seaside cafes to vineyard lunch spots and central city restaurants, we’ve found the best places to dine outdoors in Auckland. Enjoy! Brunch is best enjoyed with a view and views don’t get much better than at Takapuna Beach Café. Graze on fresh ricotta toast, smashed eggs, or fish ‘n’ chips on the deck, while looking out at Rangitoto. Don’t forget to grab a scoop of their homemade gelato, it’s the goods. Perched upon a hill on Waiheke is one of the best outdoor eating spots in Auckland. Casita Miro will have you sipping on rosé and nibbling on tapas in a stunning glasshouse. We voiced our love for this wicked bar/restaurant before are not the slightest bit surprised that it’s now the go-to spot for outdoor dining in Ponsonby. MR TOMS gets aaaaalll the sunshine so you can enjoy your pizzas and cocktails wrapped in warmth. A brewery, American barbeque hub, and epic summer drinking hub rolled into one, Mt Eden’s Brothers Juke Joint BBQ will be celebrating their first summer this year and trust us, you’ll want to be there at some point. It’s almost like a massive backyard party, complete with a sandpit for the little ones and beer on tap for the big kids a.k.a. adults. 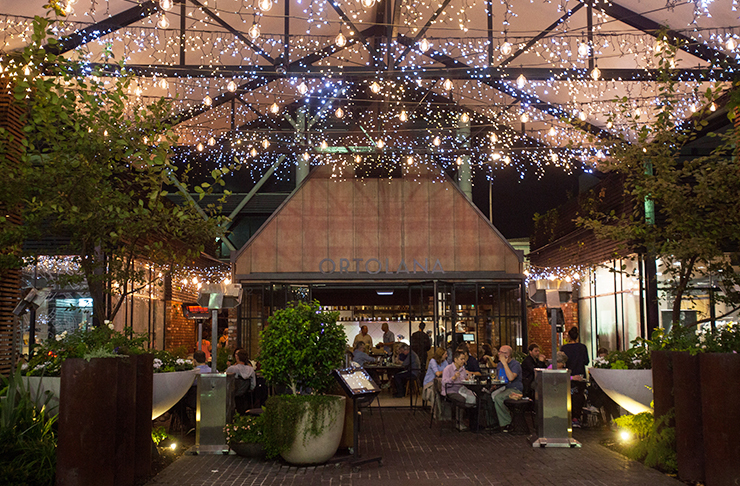 Although located in central Auckland, Ortolana feels like a secluded haven. Their seasonal, inventive menu has a foodie focus of farm-to-table, and the open courtyard is the perfect place to work your way through it. If the evening gets a bit nippy, Ortolana’s blankets will keep you nice and snug. Keep it rural and spend a day at The Tasting Shed in Kumeu. From lush lawns and rustic benches to a sundrenched deck, it’s the ideal place for wining and dining. If you’re kicking around the city and the hunger strikes, wander down to North Wharf. You’ll find an abundance of cafes, bars and restaurants for a meal and a couple of bevvies in sun. Bracu is nestled amongst the olive grove of Simunovich Olive Estate, where Mikey Newlands creates culinary masterpieces. The finest dining experience south of the big smoke. This legendary pub is one-of-a-kind and a local favourite. Find a posse on the lawn and sink a few cold ones. Heading back to work during the peak of summer isn’t all that fun, but midweek lunching at The Grove makes it that bit easier. Sit in the outdoor courtyard in St. Patricks Square, and drink and eat all your worries away. 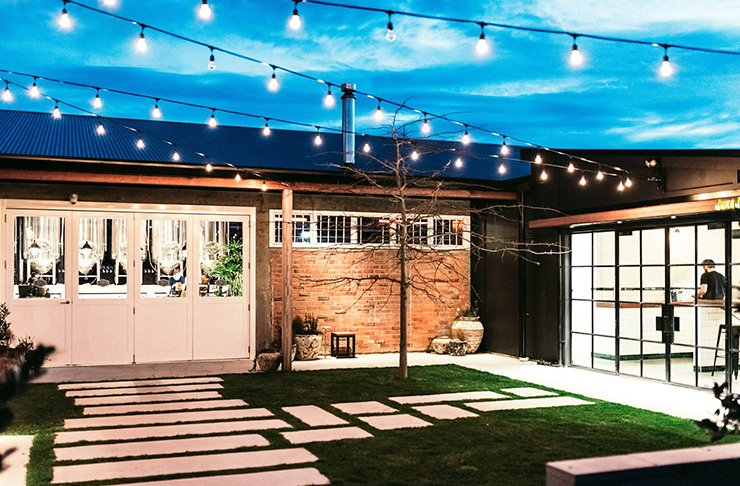 Home to some of the best craft beer in Auckland and with a massive beer garden opening very soon, Hallertau is on our outdoor eating hit list this summer. If it’s brews, views and decent food you’re after, Swashies it is. Head there for after work drinks and a bite to eat—it’s a sun trap with epic views of the Westhaven Marina. An afternoon of smokey meat, drinks and sunshine at Sweat Shop Brew Kitchen is always a good time. Their beers are brewed on site (feel free to go up and chat to the brewer), and the huge deck means there’s room for you and your whole crew. Laidback lunching in Meadow’s garden/courtyard is a must for outdoor eating fans. Order a couple of pizzas, smoothies (or something a bit stronger) and sides, and you’ll never want to leave. Many a Kingslander has spent a cruisy arvo at Citizen Park. The outdoor area is usually populated with nacho lovers and locals who struggle to stay away from the place. We don’t blame them, it’s one of the best outdoor eating bars in Auckland. Many years ago, Non Solo lured us in with its scrumptious pizza and pasta. Little did we know it had a stunning outdoor courtyard to eat in. If you haven’t long lunched at NSP yet, put it on your summer bucket list. 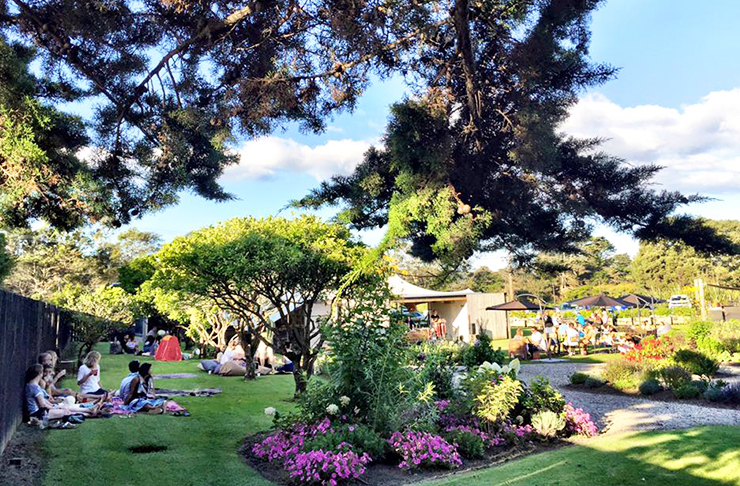 This, people, is one of the best places in Auckland to get your outdoor dining fix. As proud owner of a harbour-facing veranda, Harbourside lets you enjoy seafood with sea views. We recommend the West Coast Whitebait Fritter. Looking for outdoor drinking spots? Check out Auckland’s Best Rooftop Bars.